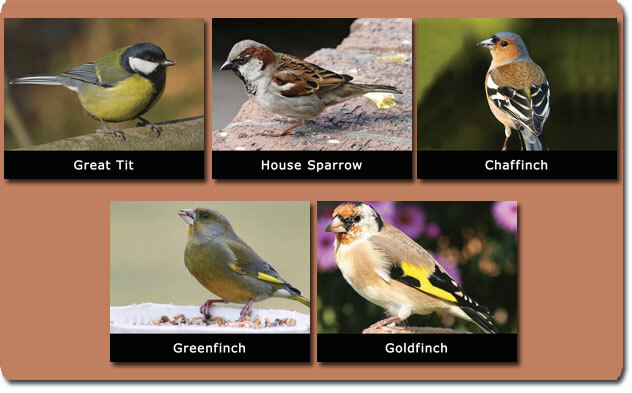 Millstreet area and its surrounds attract a wide variety of wildlife.Birds, especially those which are attracted to gardens, are clearly visible here all year round. Trout in the Finnow, foxes and hedgehogs foraging for food in the late evenings, butterflies and moths in Spring and Summer, as well as the heron are all inhabitants of this area. 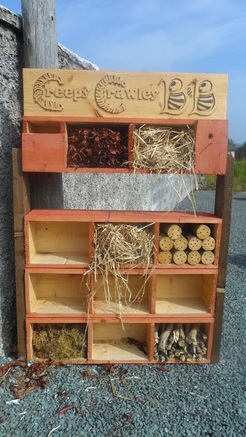 In addition to an army of invertebrates- insects and other creepy crawleys- are much more numerous than other types of animal life and often go unnoticed.Trees, plants and flowers are all part of this environment and the deliberate planting of certain species is designed to attract birds, butterflies and insects. Maintaining this environment is not difficult but every care should be taken not to spoil it. 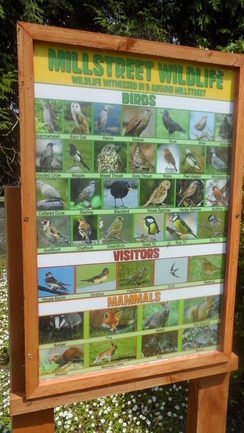 These species of birds are locals! Foxes and hedgehogs forage for food in the late evenings.The Heron feeds mainly on fish and frogs. 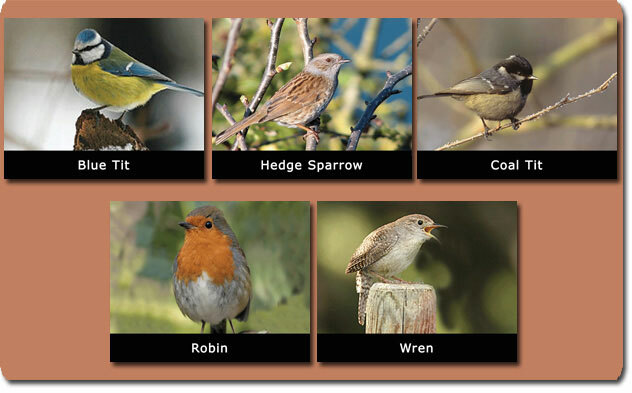 Millstreet Tidy Towns have over many years paid close attention to a Planting Scheme which supports Wildlife. High nectar plants include: Buddleia, Sedum, Michaelmas Daisy and Lavender. Cotoneaster and Berberis supply nectar and pollen for other insects and berries for birds. Acer and sorbus species of trees, Hawthorn and Blackberry all supply food in the form of seed and fruit for birds, mice and foxes plus leaves for moth species larvae.